Many people often ask me whether it is better to go to their bank for a mortgage or use a mortgage broker. There are some differences between banks and brokers which I will address. However, I believe the most important factor is that you work with somebody that demonstrates experience, competence and ethics. Individuals with those qualities (and lacking in those qualities) can be found in both banks and mortgage broker businesses. The first thing that most people inquire about is rate and fees. Whenever you are comparing rates among lenders, whether they are banks or brokers, always ask for a fee estimate. This is also referred to as a Loan Estimate (LE). This will provide a detail of all of the fees that you will be expected to pay at closing as well as the rate. As I have discussed in other blogs, you cannot compare one lender to another solely by asking the interest rate. One lender may quote 4% but the fee to obtain that rate is $2000, while another may quote 4% with a lesser fee. Always compare rates and fees obtained on the same day, as rates change frequently. Another thing to remember when comparing fees is that you should only compare the fees that the lender charges, not the total fees which include charges from the title company, homeowners insurance company, surveyor, etc. Many of those other services can be obtained through vendors of your choice or are selected by the property seller, such as the title company. Isolating just the lender fees allows you to really compare apples to apples. As stated in my opening paragraph, my opinion is that experience is one of the most important factors in selecting a lender. Does it really matter if somebody promises a rate that is 1/8 point lower or a fee that is $500 less if they can’t get the job done? 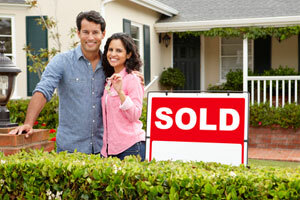 The mortgage industry has undergone vast changes in recent years. And guidelines continue to change! Every day I encounter loan situations which cause me to “think back” to previous loans where I encountered similar situations and draw on my experience with those situations to further investigate and determine IN ADVANCE whether I have a situation that needs to be resolved before going to underwriting. That helps immensely to avoid last minute surprises or unnecessary expenditures for appraisals, inspections, etc. on a loan that may not have been viable from the start. You should not be afraid to ask the loan originator what their experience is or obtain testimonials from other who have used them. There are differences between banks and brokers in licensure requirements. Loan officers who are employees of banks are not required to be licensed by the state. Brokers are required to be licensed and adhere to continuing education guidelines. Some bank loan officers may be licensed but many are not. That may or may not be an indication of their competence or experience. I have met many competent bank loan officers and sadly also have met incompetent brokers – even though they are licensed. So, once again, I point to EXPERIENCE. Somebody who recently started in the business, or is merely an “application taker” probably does not have the experience to draw on to properly evaluate or guide you through the loan process. How do you evaluate the lender’s competence or ethics when you have never been through the loan process before and may not know much about mortgages? First of all, ask questions! A good lender will be happy to answer your questions and make sure you understand the numerous intricacies of the loan process, such as mortgage insurance, rates, fees, types of loan programs and comparisons of various options, escrows, the underwriting process, the closing process, etc. If you don’t feel like you are getting good answers to your questions, it may be because they don’t know the answers, or worse yet, don’t care to take the time to ensure your understanding. If you are not comfortable with a particular loan officer, you should try others to see if they can better assist you. If you are buying a home, most likely you have a set closing date. Even if you are refinancing, you don’t want to wait six months for your loan to close! Ask your lender what their typical days to closing are and whether they foresee any issues in making your closing date. Again, this may not be an issue of whether it’s a bank or a broker. Some banks may take longer to close if they are large institutions with a backlog of loans, but some brokers may also take longer than others and vice versa. #5 Who holds the existing loan? If you are refinancing an existing loan, many people think it is better to go back to the bank where they originally got the loan. In most cases, that is not the case. Even in situations where you owe more than the house is worth, a broker or another bank most likely can refinance your loan under one of the standard loan programs, such as Fannie Mae, Freddie Mac or government programs. If you are in a situation where your loan does not fit the requirements of any of the standard loan programs and requires some type of modification in order to be refinanced, that may be an instance where you need to go to your bank. In summary, I think it is wise to shop around for your mortgage, but decisions should not be made on whether the lender is a bank or a broker, or even on who has quoted you the best rate. Each of the factors noted above can be significant factors in making your choice.